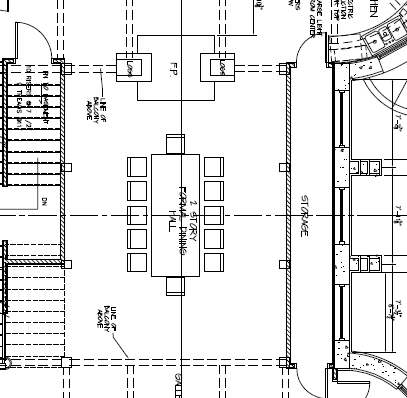 Hello i am working for the justice dept here in Ireland and we are interested in building a hall with room to hold 50+ people and to integrate into the design cob walls for a full Eco-sustainable building with all available technological systems for energy and waste management system, would this be in your field of expertise to provide technical support in drafting these type of drawings? I’m just a homeowner Michael. Hey there! I stumbled on your blog while researching castle-building; it’s been a dream of mine to build a castle to live in, and it’s so nice to see someone else that has achieved that dream. That said, how did you go about the design process? Did you hire an architect? I googled “castle builders” with no luck at all (imagine that! hahaha). I’ve never designed a building, but I do have clear ideas about features and general style (like I definitely want Gothic influence in the design, etc). How did you go about finding an architect that was a) willing and b) able to deliver on this sort of unusual design? I’d love to pick your brain! In the meantime, I’ll be catching up on your blog. I had the broad strokes of the design in my head for years, and I used the consumer grade home design software to do some basic layouts, but honestly it sorta sucked for round walls and pen and paper would have worked better. The architects of course had some good ideas on fitting stairs in (something I did not know how to calculate), and other things, but boy were they expensive, engineers too. You could build a decent house for what I paid in all of that. If you went smaller, not as tall, you could do these things for less. I had to have engineers and whatnot because I went so big (4 stories put me under commercial codes in my jurisdiction). Also my clear spans inside are quite large. If you found a good builder, comfortable with wood framing, you could design a castle home together, frame with wood, and sheath in stone veneer. Don’t look for “castle builders” just find a builder. Also, if you can build in a county, rather than a city, you will have more flexibility. I was not so lucky. I also like curved beams on trusses. 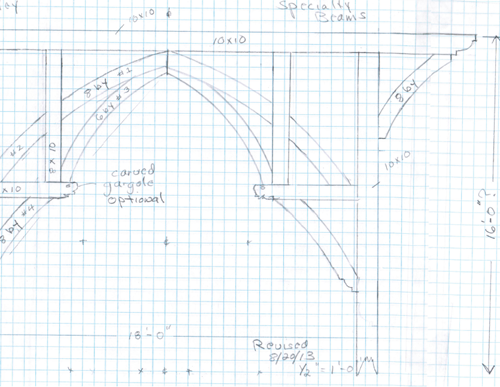 Your example of Westminster Hall seems like a great image for curved timber trusses. I can see why you would want to use this image as an example for a new truss installed on your home, but without the steep slope. That would be a good way to make this more affordable and feasible to do when installing it on your house.